05 September 2018 – Cobham SATCOM has announced the arrival of its new SAILOR 100 GX High Power High Power Fleet Xpress user terminal, building upon the proven success of its market-leading SAILOR 100 GX system. The compact 1 metre, 3-axis stabilized Ka-band user terminal is specifically designed to enable Inmarsat’s newly launched high data rate plans packaged for bandwidth-hungry segments, such as Offshore Support Vessels (OSV), Global Cruise, and Superyachts. Delivering twice the RF power of standard GX terminals, the SAILOR 100 GX High Power dramatically improves the economics of pushing large amounts of data from ship to shore, while also improving overall service quality and availability around the globe. This significant power boost comes courtesy of a fully-integrated, military-grade 10W GaN amplifier, which in addition to significantly increasing upload speeds, facilitates a more reliable link to the GX satellites in all conditions to ensure continuity in the flow of mission critical data. With enhanced throughput and greater reliability, the SAILOR 100 GX HP terminal raises the bar for those operating in an increasingly digital environment while improving the overall experience of shipboard crew communications. 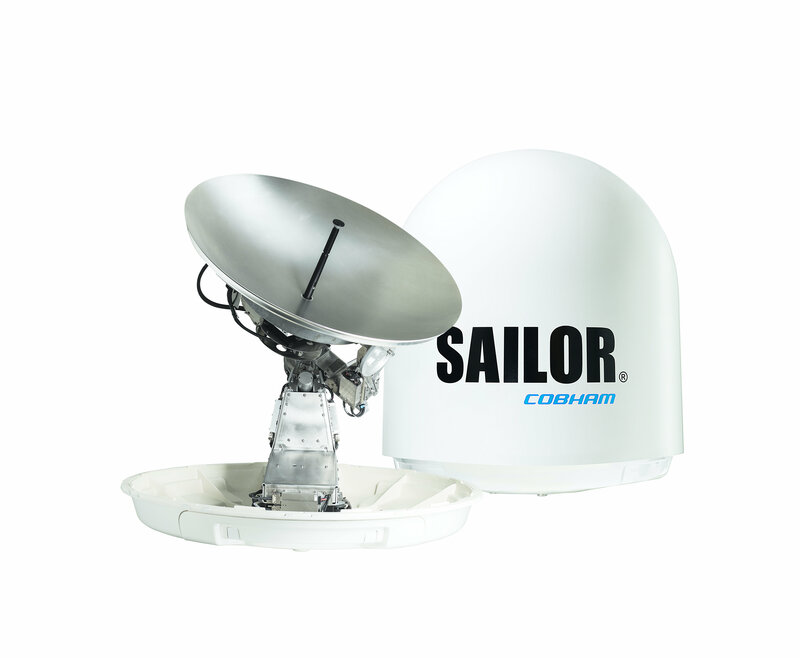 As an additional enhancement to the stability and quality of the satellite service, the SAILOR 100 GX HP system is compatible with Cobham SATCOM’s GX Antenna Diversity Solution. This means that operation of two Ka-band antennas can be achieved from a single GX modem unit, with FleetBroadband integrated all on a single Fleet Xpress subscription. Only SAILOR GX series terminals enable dual antenna operation through embedded intelligent software, which eliminates thousands of dollars in costly rack devices and maintains the SAILOR emphasis on streamlined installation and activation. “While delivering the highest throughput performance on Fleet Xpress, satellite service providers and fleet operators can rest assured that SAILOR 100 GX High Power is bolstered by software controlled remote access and diagnostics for more streamlined service and troubleshooting, while our comprehensive global support network ensures delivery where and when it is needed with local availability for installation and on board maintenance. This all combines to ensure high operational continuity when selecting Cobham SATCOM hardware to power your digital transformation,” adds Henrik Møller, Product Line Manager, Cobham SATCOM.